STATESBORO, Ga. – South Georgia Tormenta FC announced on Tuesday that the club has signed Italian midfielder Marco Micaletto, pending league and federation approval. 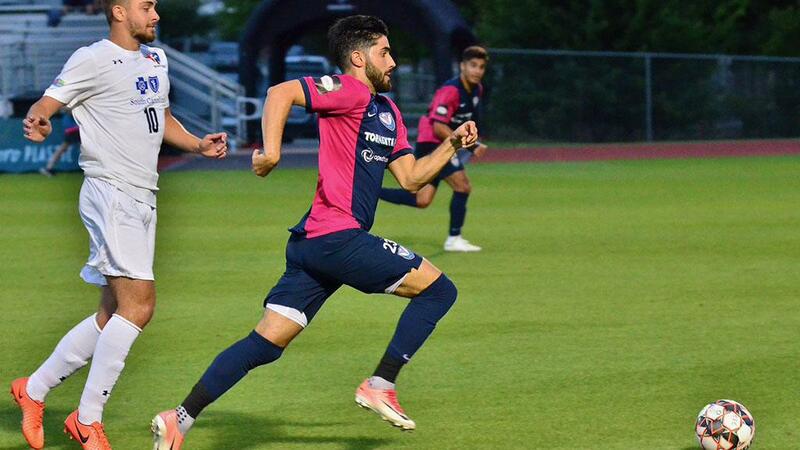 As a starter for Tormenta FC’s League Two side last summer, Micaletto helped the team clinch the Deep South Division championship, registering four goals and two assists over the course of the campaign. "Marco is a player that is perfectly suited to what we are trying to build at Tormenta,” said Tormenta FC Head Coach John Miglarese. “He had a fantastic season with us this past summer. He brings mobility, creativity and a lot of energy to our midfield. I am delighted to have signed him." Micaletto played his first three collegiate seasons at Young Harris College, where he earned All-Peach Belt Conference first team honors in 2015. Last fall, he played at Akron University and helped the Zips capture the Mid-American Conference Tournament before finishing as the runner-up in the 2018 College Cup. Before moving to the United States for college, Micaletto played at Brentford FC’s academy in England. Micaletto becomes the 19th player to join Tormenta FC for the inaugural USL League One season and the tenth to continue with the club from USL League Two.